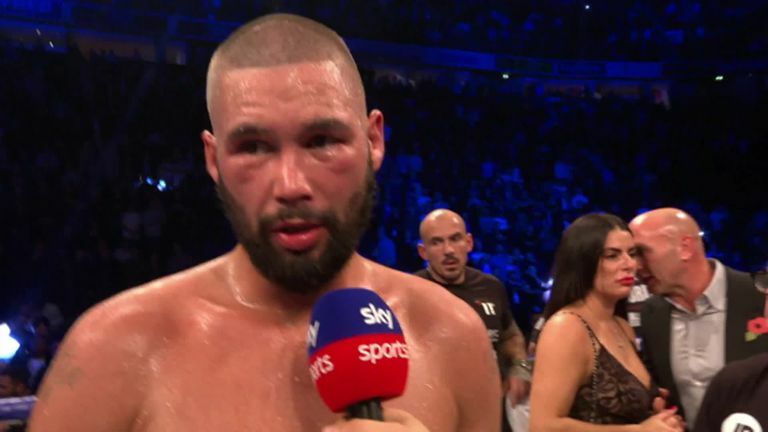 Bellew fell backwards into the ropes and, before he got up, referee Terry O'Connor called a dramatic halt to the fight. Bellew's left hand first found its target in the second round and, moments later, he shouted at Usyk to goad him into a brawl. Usyk landed a stiff left hand over Bellew's own punch in the fifth, the first time that his southpaw stance was clearly advantageous. A menacing smile protruded through Usyk's guard as he crept forwards, forcing the pendulum to swing in his favour. Bellew's mouth was bloodied and he moving backwards in the eighth when Usyk crashed a vicious left hook into his jaw which concluded the bout. The Ukrainian's remarkable run on away territory includes wins over Krzysztof Głowacki in Poland, Michael Hunter in the United States, Marco Huck in Germany, Mairis Breidis in Latvia and Murat Gassiev in Russia.